Cryotherapy is defined in the dictionary as “the therapeutic use of cold.” In the shortest of terms, cryotherapy is the use of a brief and intense exposure to cold that triggers the body’s natural healing process. A Whole Body Cryotherapy session involves entering into an ergonomically shaped cryosauna where your body and skin will be exposed to a liquid nitrogen mist with an average temperature of -185. The liquid nitrogen acts as a cold stimulus that significantly lowers the skin’s temperature in a quick, two to three minute session, which activates the nervous system and causes the blood vessels to constrict, reducing inflammation while sending the blood back to the body’s core where it is re-oxygenated. The activation of the nervous system stimulates the body’s organ regulatory functions resulting in energy increase, cell rejuvenation, immune system boost, and overall system self-healing. 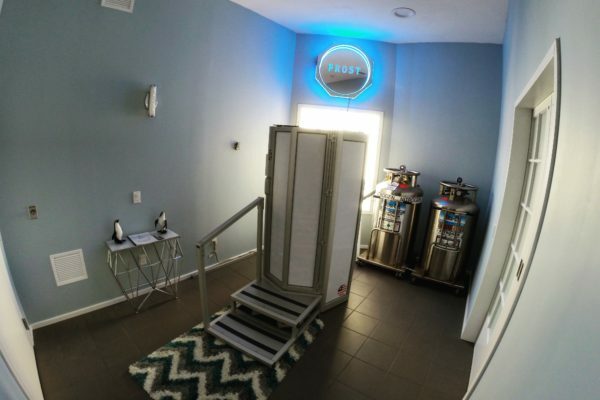 When you step out of the cryosauna, this freshly oxygenated blood flushes out to the rest of the body, carrying nutrients and anti-inflammatory proteins to help speed recovery. It is not considered a medical procedure, but rather, a non-invasive option for any person seeking health and wellness benefits with exceptional results. This technique was first used in Japan in 1978 to treat rheumatic diseases, where it was studied and established as a powerful treatment for pain and inflammation associated with a number of many chronic conditions. Over the next three decades it quickly spread to Europe and other countries, as it became widely known for its broad range of benefits. 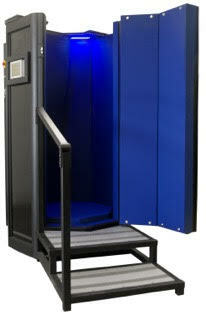 Cryotherapy is now becoming popular throughout the United States. Before entering the cyrosauna, put on DRY socks/shoes, gloves and undergarments. Step inside the cryosauna, where you’ll be surrounded by liquid nitrogen mist with an average temperature of -160ºF. Stand still for 2-3 minutes; your body will release adrenaline, endorphins and anti-inflammatory proteins. You’re done! Do some light stretches, and you’re ready to recover faster and play harder. Some of the conditions that are said to improve with cryotherapy include, migraines, arthritis, fibromyalgia, depression, fatigue, chronic inflammation and other autoimmune diseases.